Unless you've been hiding under a rock these last few months you've probably spotted gorgeous pieces from Glamorous popping up all over the blogosphere.. and if you're yet to discover them you're missing out! Glamorous offers the cutest printed and vintage style dresses alongside some of the seasons hottest trends in their collection. They're fast becoming one of my favourite sites to browse online! These are some of the items on my ever growing wish list! The grey studded tunic would make a perfect addition to my autumn/winter wardrobe. I love the stud detailing on the shoulders and the dipped hem. It could be worn both during the day and dressed up with a pair of heels in the evening. I've loved this mint oriental print kimono with fringe detailing ever since I saw the lovely Gillian wearing it! It makes a great cover up and is perfect for adding a splash of colour with your favourite LBD! This classic white sleeveless shirt has been updated for the season with dainty pearls adorning the collar. It's ideal for both the office and at the weekend paired with your favourite skinny jeans. Have you bought anything from Glamorous? Where's your favourite place to shop online? I worked in an independant boutique for a few years selling clothes, the only stuff i ever bought there was Glamorous brand! 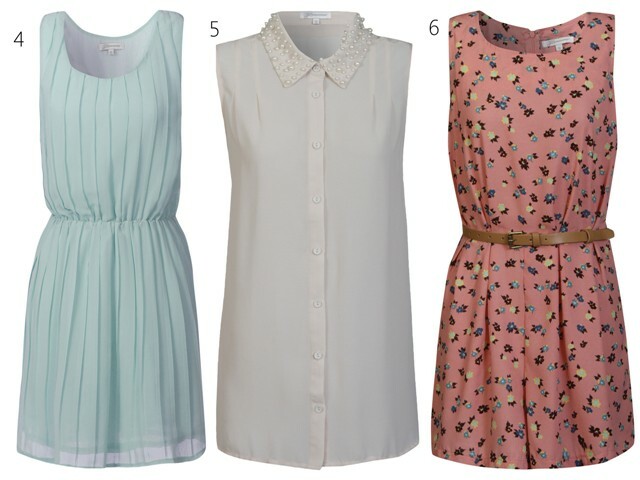 So affordable and on trend :) The pearl collar shirt is so cute, they also do a sequin one too... decisions! Ahhh that grey tunic! I desperately want that still :p love the kimono ridiculous amounts too! Gorgeous pics from an amazing store! I have just bought the dipped hem tunic with studs in black and I can't wait for it to arrive! oooh that kimono looks so pretty perfect! I love the print and the colors! That flowy kimono is perfection, i would def get it! I don't always agree when people share their opinions of online stores, but in this case, I'm definitely jumping up and down going yes! Lovely pieces - have yet to check this site out but will get right on it! I love Glamourous! Luckily for me my local boutique stocks it so I don't even have to wait for online deliverys! Oh you picked some lovely pieces. I really love the pearl collar blouse, how pretty! I don't think there is one piece on this list that I don't love. I want them all! I can totally see the need for a kimono. Caroline!! I have yet to have bought anything from Glamorous as of yet but you cannot deny their prescence in the blogging world! Everyone is all their copies! I really love 4 and 5. Especially 5. White, shirt, collared, studded. Perfect summer androgynous dress for me! Number 4 is totally, adorably lush! That bird print dress is too cute - love it! 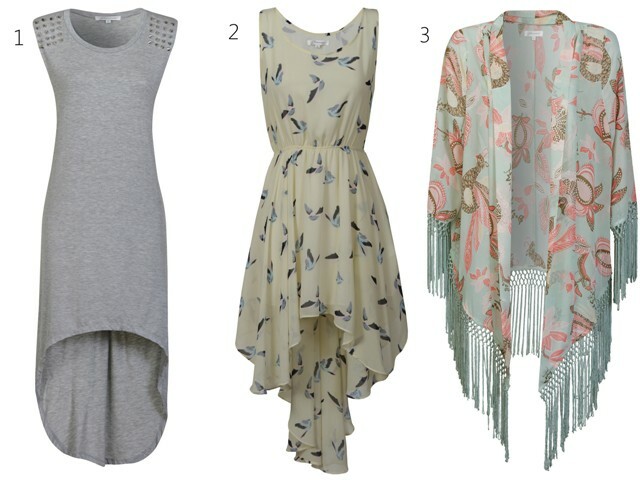 I so want that fringe Kimono!